I recently had an opportunity to help a referring veterinarian with her surgical extraction technique. Extracting teeth in cats was causing her much grief, so we discussed tips to transform the act of extracting firmly rooted feline teeth from a dreaded task to a satisfying part of veterinary practice. 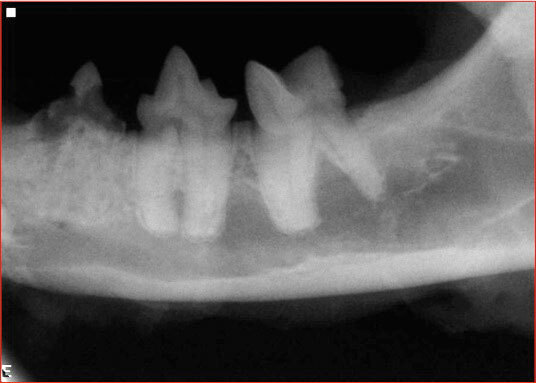 First, let’s discuss the decision-making approach based on dental radiographs and clinical exams in the context of one of the most common dental problems in cats that create challenging extractions: tooth resorption. 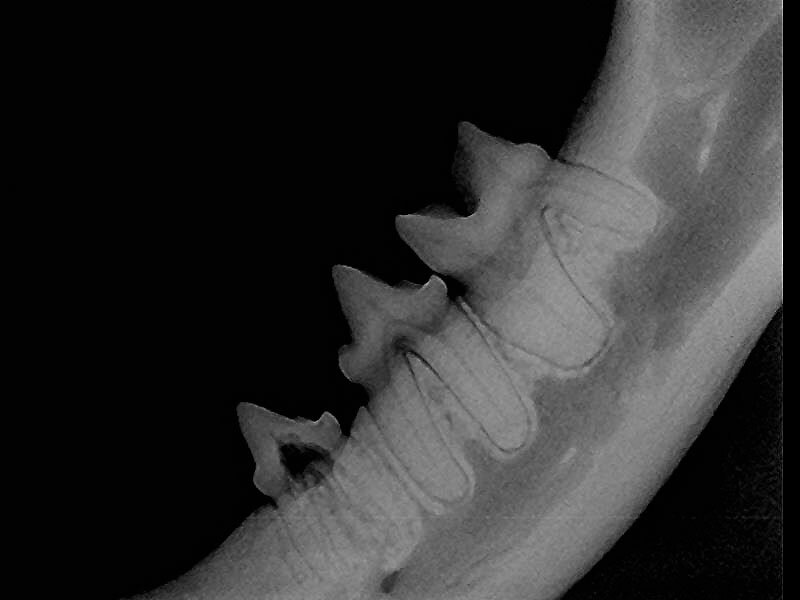 Feline extractions should not be attempted without preoperative dental radiographs. Tooth resorption may occur in varied manifestations, and the approach to treatment depends on the radiographic appearance of the affected tooth. Tooth resorption in cats is commonly external tooth resorption starting on the root surface, resulting in focal tooth resorption where the crown meets the root, often referred to as Type 1 resorption. Teeth affected by Type 1 resorption require extraction, and these extractions can be challenging because in some areas, the tooth may be “spot welded” to the surrounding alveolar bone. Type 2 external resorption is seen on radiographs as root replacement resorption, in which the radiographic density of the root is much less than that of an unaffected root, approximating the density of bone rather than normally dense root structure. Figure 1A: Tooth 307 with radiographic appearance of Type 1 tooth resorption (focal area of decreased density with largely normal root structure).This is where radiographs are so important: If you don’t have dental radiography, you won’t know if there are truly roots to remove. In some cases, Type 2 root resorption can be so severe that the roots of a tooth are no longer present. In these cases, a technique referred to as “crown amputation” or “coronectomy” can be performed. I prefer the latter term since any procedure with the term “amputation” in its title is not well received by clients! Coronectomy is easier than an extraction, so the coronectomy technique is prone to abuse. Use dental radiographs and clinical appearance of the hard tissue of the tooth to determine if coronectomy is an acceptable option. No evidence of periodontal disease. Clinically, unless the root looks completely resorbed on dental radiographs, I err on the side of raising a flap to visualize what the root structure of a tooth looks like, after removing the buccal shelf of bone to expose the root. Unresorbed root structure looks glassy tan/yellow, rather than a pinkish white color seen in roots that have been replaced by bone. Additionally, a fully resorbed root will show no signs of pinpoint bleeding from a central endodontic system when assessed on the cross-section of where the root meets the crown. If all of these criteria are met, both clinically and radiographically, coronectomy may be performed. Type 3 root resorption exists; it is the presence of Types 1 and 2 resorption in the same tooth. For example, Type 3 resorption would be seen in a mandibular third premolar tooth where the mesial root shows Type 1 resorption and the distal root shows complete root replacement resorption (Type 2). Each root is treated differently depending on its radiographic appearance. In the example above, the mesial root would need to be extracted in its entirety, whereas the distal root may be a candidate for coronectomy. Tooth 307 with radiographic appearance of Type 2 tooth resorption (diffuse decrease in tooth or root density with nearly complete replacement of root structure). Coronectomy is performed with a crosscut fissure bur such as a 699, 700 or 701 bur on a high-speed handpiece. These burs are designed to cut on their sides rather than the end of the bur. Before using the bur, a small periosteal elevator is used to create an envelope flap, where the periosteal elevator releases the gingival attachments from the bone in a circumference around the tooth crown. The side of the tip of the bur is then used to remove the tooth crown by passing the bur along the neck of the tooth (where the crown meets the roots), which will result in separation of the crown from any underlying root structure. A round diamond bur (such as a #10 diamond bur) may be used to remove any small spicules of crown at the mesial or distal aspects of the tooth border. After the crown is removed, the cross-sections of the roots are evaluated from an “aerial” view. If discernable root structure or endodontic system is seen, a flap is raised (one or two releasing incisions) to allow for more exposure and further assessment. Further root structure is extracted until no clinically or radiographically evident root remains. Postoperative radiographs are necessary to ensure smoothness at the alveolar margin. When removing firmly rooted tooth roots or crown/root segments, I start by incising the gingival attachments around the circumference of the tooth and then I raise a mucoperiosteal flap on the lateral surface of the root(s).